8-Bit Girl: Da Da Da Daaaaaaaaaaaaaa! If you've never seen artist James Stayte's art, then you're missing out! 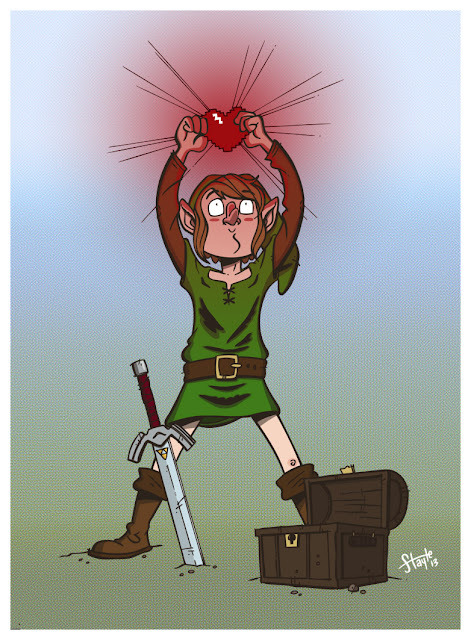 A Zelda fan, James has drawn Link opening a chest to reveal a piece of heart. It's a great piece, (and of course, I'd love it, being a fan of all things Zelda) which you can see below.